New Directions Publishing Corporation, 9780811220248, 206pp. First published in 1934, Goodbye to Berlin has been popularized on stage and screen by Julie Harris in I Am a Camera and Liza Minelli in Cabaret. 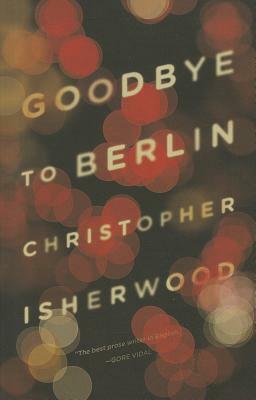 Isherwood magnificently captures 1931 Berlin: charming, with its avenues and cafes; marvelously grotesque, with its nightlife and dreamers; dangerous, with its vice and intrigue; powerful and seedy, with its mobs and millionaires this was the period when Hitler was beginning his move to power. Goodbye to Berlin is inhabited by a wealth of characters: the unforgettable and divinely decadent Sally Bowles; plump Frau]lein Schroeder, who considers reducing her Bu]steto relieve her heart palpitations; Peter and Otto, a gay couple struggling to come to terms with their relationship; and the distinguished and doomed Jewish family, the Landauers.